The Saab 105 is a high winged, twin engined, tricycle landing gear training aircraft with side by side seating. The initial version was not armed however later the design was modified to encompass the roles of light attack aircraft. 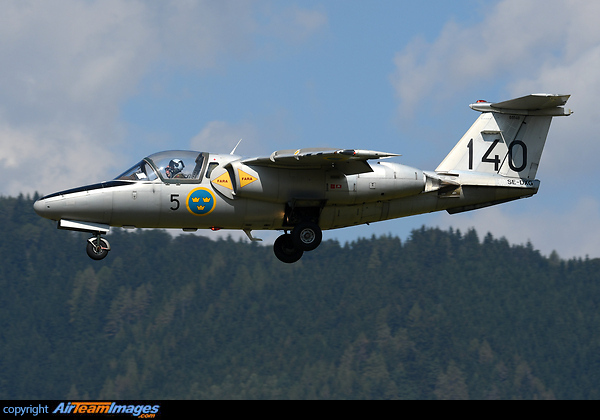 The Swedish Air Force designation of the aircraft is the SK 60. 2 x General Electric J85/CJ610 (2450 - 2950 lbf), Volvo RM9 or Williams FJ44 (1900 - 2400 lbf) engines.